The performance of the stock market in January has changed dramatically over time. From 1984 to 1999 the average FTSE All-Share return in the month was 3.3%, and as can be seen in the accompanying chart in those 16 years the market only fell twice in January. But then things changed completely. 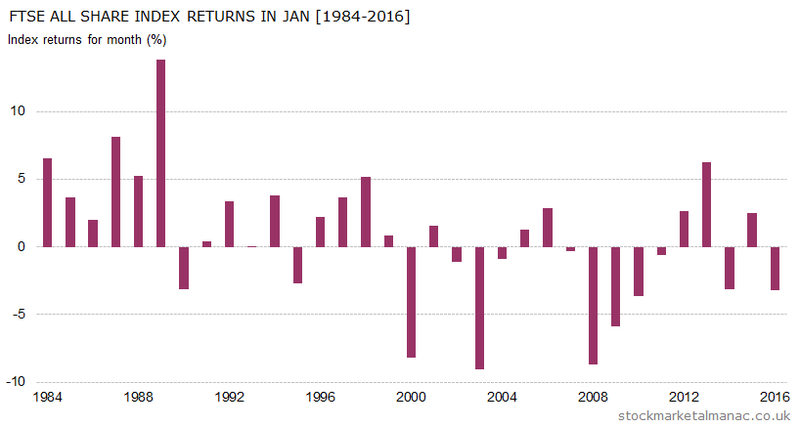 Since year 2000 the average market return in January has been -1.6% with the market seeing positive returns in only six years. This makes January the worst of all months for shares since 2000. In an average January, the euphoria of December (the second strongest month of the year) carries over into the first few days of January as the market continues to climb for the first couple of days. But by around the fourth trading day the exhilaration is wearing off and the market then falls for the next two weeks – the second week of January is the weakest week for the market in the whole year. Then, around the middle of the third week, the market has tended to rebound sharply. In the world of economics the month is famous for the January Effect. This describes the tendency of small cap stocks to out-perform large caps in the month. This anomaly was first observed in the UK, but it certainly seems to apply to the UK market as well. For example, since 1999 the FTSE Fledgling index has out-performed the FTSE 100 Index in January in every year except two. The interesting thing is those two weak years for small-caps were seen in January in the last two years – 2015 and 2016. Is this effect on the wane? Turning to the longer-term, what is the outlook for the rest of the year? One of the strongest influences on the US stock market is the four-year Presidential Election Cycle. Historically presidents have primed the economy in the year before elections, resulting in the third year of the Presidential Election Cycle seeing higher annual market returns. By contrast, the first (which will be 2017 in this cycle) and second years have seen lower than average returns. Given the close correlation of the US and UK markets this would suggest a somewhat negative outlook for UK shares in 2017. What other patterns can we find from history for the likely performance of the market in 2017? Well, we could look at the decennial cycle. 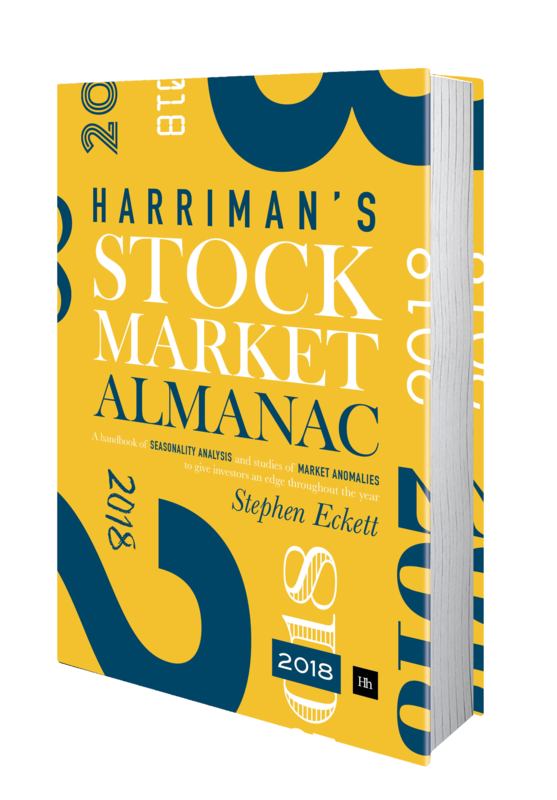 Since 1800 the average annual return in the seventh year of the decade has been a reasonable 2.7%; but since 1950 the seventh years have been on quite a run: the average annual return has been 16% and the last time the market fell in a 7th year was 1957. The guidance from the centennial cycle is mixed; in 1717, 1817 and 1917 the respective annual returns for the UK market were +18%, +5%, -11%. In the Chinese calendar, it will be the year of the rooster, this is not a good sign for stocks. Since 1950, rooster years are the only Chinese zodiac years that have had a negative average annual return (of -4%). So, good luck if you are trading against the rooster! This entry was posted in January, Market, News and tagged month review by Almanacist. Bookmark the permalink.